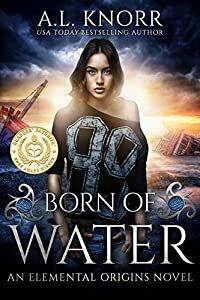 Born of Water is a 2018 Readers Favorite Gold Medal Winner. Don't miss it! 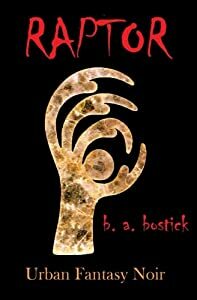 Born of Water is the first book in The Elemental Origins, a series of captivating YA urban fantasy novels. If you like new twists on mermaid lore, simmering romance, and close-knit mother-daughter bonds, then you’ll love A.L. Knorr’s nautical adventure. Embark on a deeper dive into the story's lore with The Wreck of Sybellen, a companion novel included with the book. Buy Born of Water to submerge yourself in an enchanting coming-of-age tale today. Tens of thousands of copies sold, over a MILLION pages read. Readers love the mermaids of the Elemental Origins Series! "A fresh new fantasy! I can't wait to read the sequel!" "So glad I snapped this book up!" 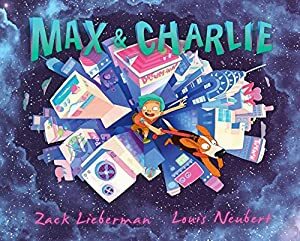 "I give this book ten stars!" I have no idea what I am, but I know I'm not human. Megan's temper lands her in Girderon Academy, an exclusive school founded in a town of misfit supernatural creatures. It's the one place she should be able to fit in, but she can't. Instead, she itches to punch the smug sheriff in his face, pull the hair from a pack of territorial blondes, and kiss the smile off the shy boy's face. Unfortunately, she can't do any of that, either, because humans are dying and all clues point to her. With Megan's temper flaring, time to find the real killer and clear her name is running out. As much as she wants to return to her own life, she needs to embrace who and what she is. It's the only way to find and punish the creature responsible. Demons only tell the truth when it will cause more trouble than lying. Frank Bishop was a vice cop for six years. Now he’s a private investigator who has been hired to find a missing child. Bishop thought he’d seen everything the underbelly of the city had to offer until a demon slayer named Ariel saves him from being killed by one of her targets. Bishop’s world is turned upside down when Ariel proves to him that demons and other supernatural creatures are real. 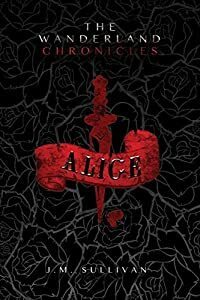 With the aid of a young hacker, Ariel and Bishop form an uneasy alliance to find out who abducted six-year-old Suzee Elizabeth Morgan. Their search takes Bishop into a subculture of supernatural beings, good and evil biotech geniuses and demons who have insinuated themselves into positions of power and wealth by appearing to be human. 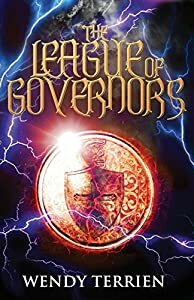 "A fine work and a unique concept.." 5/5 -5th Annual Writer’s Digest eBook Awards#2 Kindle Bestseller -New Adult & College Fantasy! "…Death and the stillness of death are the only things certain and common to all in this future…" -Friedrich Nietzsche Rose is dying. Her body is wasted and skeletal. She is too sick and weak to move. Every day is an agony and her only hope is that death will find her swiftly before the pain grows too great to bear. She is sixteen years old. Rose has made peace with her fate, but her younger sister, Koren, certainly has not. Though all hope appears lost Koren convinces Rose to make one final attempt at saving her life after a mysterious man in a white lab coat approaches their family about an unorthodox and experimental procedure. A copy of Rose’s radiant mind is uploaded to a massive super computer called Aaru – a virtual paradise where the great and the righteous might live forever in an arcadian world free from pain, illness, and death. Elysian Industries is set to begin offering the service to those who can afford it and hires Koren to be their spokes-model. Within a matter of weeks, the sisters’ faces are nationally ubiquitous, but they soon discover that neither celebrity nor immortality is as utopian as they think. Not everyone is pleased with the idea of life everlasting for sale. What unfolds is a whirlwind of controversy, sabotage, obsession, and danger. 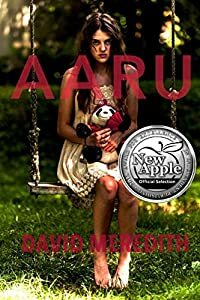 Rose and Koren must struggle to find meaning in their chaotic new lives and at the same time hold true to each other as Aaru challenges all they ever knew about life, love, and death and everything they thought they really believed. Book one of Louise G. White's young-adult contemporary fantasy 'Gateway' series. Amazon #1 Best Seller Urban Fantasy! On the run and hiding from ‘the suits’, Carolyn’s life is far from straightforward. After her mother and brother go missing in a most extraordinary way, (through a hole to another world which appears in the kitchen wall! ), she is determined to track them down and bring them home. But life is never that easy! 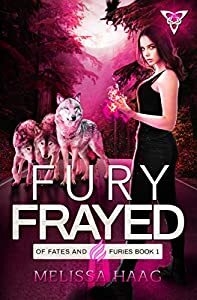 Rescued and protected by a group of unusual and likeminded ‘people’, Carolyn hones her magic and fighting skills. 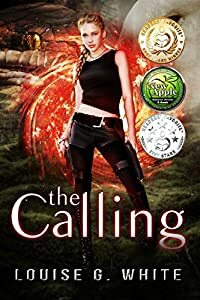 Whilst answering a ‘call’ to retrieve a human from another world she’s faced with a quick decision and ends up bringing a demon back with her. Little did she know what effect this demon would have on her. In the moments you can't remember. The Ferox assault has been escalating, drawing Jonathan into combat more and more frequently. With each passing day, he's grown stronger. He can't be certain, but his attackers seem to be getting... more dangerous? ...and, of course, Heyer is gone, again. Then came the glitch. Unexpectedly pulled from battle, Jonathan finds he cannot recall the final moments of his last confrontation. Convinced that his memory loss was no accident, he must uncover the truth. His only leads are a less than helpful artificial alien intelligence, and Rylee, a mysterious and possibly crazy woman, who seems to think they share a history he doesn't remember. With no means to contact the only being who can give him answers, and knowing he has gaps in his memory, Jonathan must make every move uncertain of the consequences. The blond man better show up soon, because events hidden in Jonathan's lost memories may trigger a war humanity isn't ready to fight. Parental Warning: This series attempts to keep swearing to a minimum. However, the sequel has one unavoidable usage of the F-word. This is due to its presence in a direct quote taken from another piece of fiction. 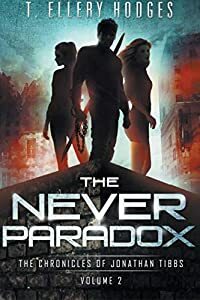 The Never Paradox is book two in The Chronicles of Jonathan Tibbs, readers who have not yet completed book one, The Never Hero, will have difficulty following. "These books have made it into my fortress of solitude. The books, movies, and games you find yourself going back to-- a few times a year-- to enjoy all over again." "I loved the philosophy and heart of this story." 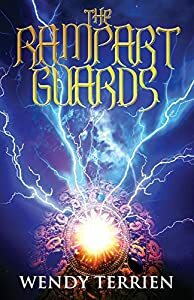 "The series is exciting and tense, but at the same time has a depth of characterization often lacking in Science Fiction and tackles some fairly deep philosophical/moral concepts without sacrificing the action."